The Wharncliffe guest accommodation provides a great location from which to visit Scarborough town and the surrounding areas, the beautiful countryside and stunning seascapes of the East Coast, bustling York and the villages and market towns of North Yorkshire. 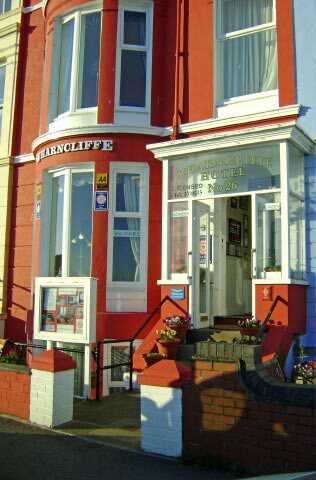 Situated in an elevated position on Blenheim Terrace, overlooking Scarborough's North Bay, with views of the medieval castle and across the bay to Scalby; The Wharncliffe bed and breakfast is within a few minutes walk of Peasholm Park, the cricket ground and the indoor bowls centre. The local theatres are approximately fifteen minutes walk away.